Today, almost all establishments use Wi-Fi for their Internet connection and rely on wireless routers to offer this access. True to its name, a wireless router performs the functions of both a router and a wireless access point. Some models can also operate in wired LAN’s and mixed networks. For systems with high-speed internet connections, a wireless router can act as a firewall too. Linux is the most widely chosen operating system for a wireless router. However, some of them also operate on VxWorks. These routers are ideal for home and small office networks. The following is a list of the best wireless routers that you can consider investing in, for both your personal and professional needs. 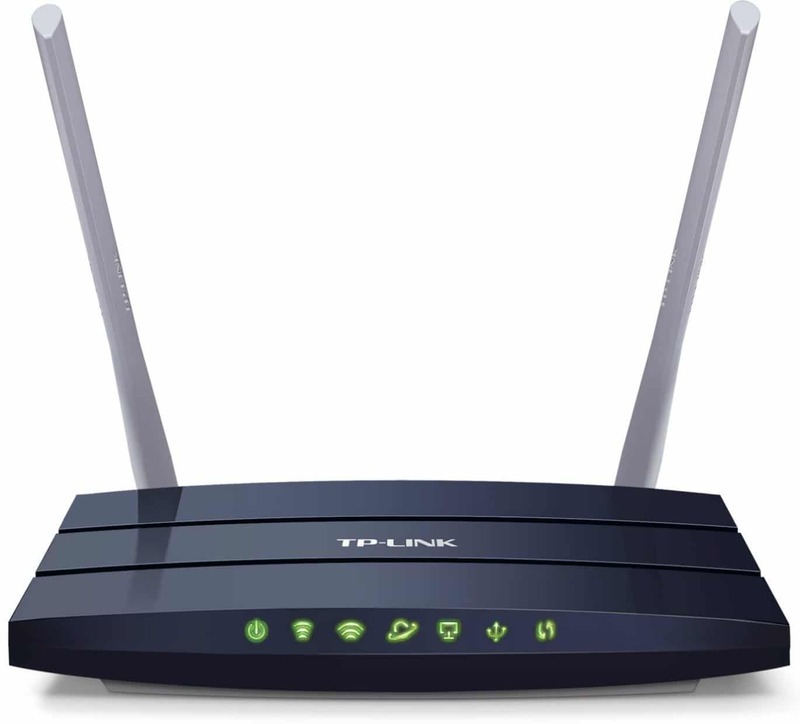 The TP-Link wireless router has a maximum speed of 1750 Mbps with minimised buffering. 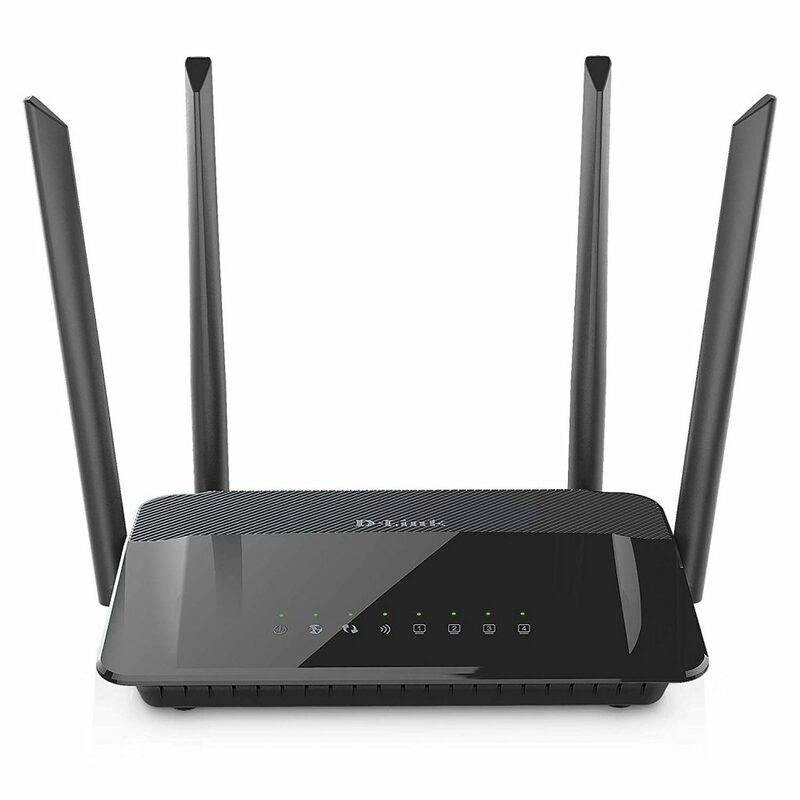 The dual-band router offers 40 Mbps speed for 2.4 GHz Wi-Fi and 1300 Mbps speed for 5 GHz. The gigabit unit has three external antennas to support long-range Wi-Fi and four gigabit LAN ports for speedy access to various connected wired devices. 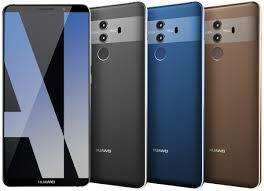 The device comes with a powerful CPU for high-speed processing, strong amplifiers and solid hardware. The gadget also features parental control, guest access, bandwidth prioritization and advanced WPA/WPA2 wireless encryption. It is compatible with IFTTT and Alexa. The TP-Link Tether app allows you to easily set up the router, manage Wi-Fi usage at home, and monitor remotely through the cloud. The wireless router can be used with systems operating on Microsoft Windows 98SE/2000/NT/XP/Vista/7/8/8.1/10, Linux, UNIX, NetWare or MAC. The D-Link wireless router offers fast HD/3D streaming speeds of a maximum of 1,200 Mbps that encompasses 300 Mbps for 2.4 GHz Wi-Fi and 867 Mbps for 5 GHz Wi-Fi. The dual-band support allows you to use the router to browse the web using one band and stream media with the other. The four high-gain antennas help in having a wide coverage area. The four-gigabit ports support the connection of four wired devices that feature 802.11 ac wireless specification. The black unit incorporates the Multi-User Multiple Input Multiple Output (MU-MIMO) technology, parental controls, secure wireless encryption connection with WPA and WPA2 security, as well as Intelligent QoS for traffic prioritization. It comes with an intuitive user interface and features an easy to setup process. The wireless router works with systems loaded with Windows 7/8/8.1/10 and Mac OS X operating systems. 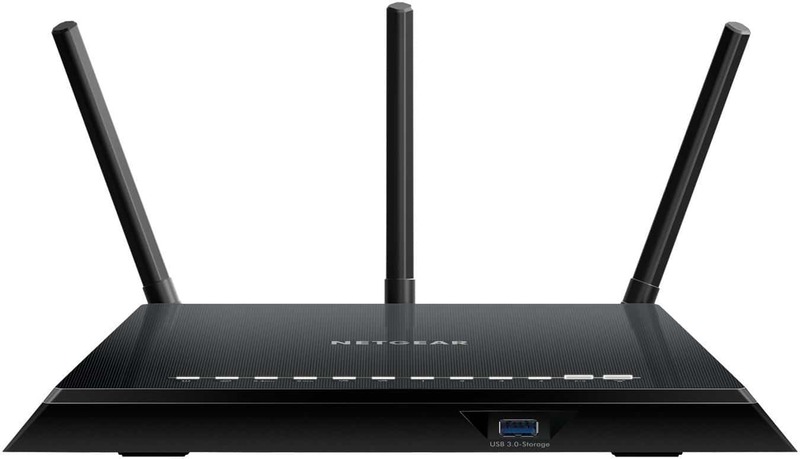 The Netgear wireless router has a maximum speed of 1750 Mbps (450 Mbps and 1350 Mbps). The wireless router comes with a dual-core 1 GHz processor for the performance boost, high powered amplifiers, a USB 3.0 port for speedy access to USB HDD and three external antennas. The black unit also offers a lag-free Wi-Fi experience for surfing, video streaming and gaming. Its advanced features ensure that you experience reliable Wi-Fi connectivity and minimal interference. 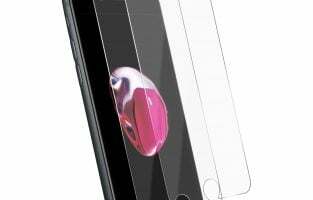 The gadget also supports beam-forming, parental controls and airtime fairness functionalities. The router offers high-security levels and assures you of your privacy when you are online. It can also limit the Internet access time for guests and kids, as well as prevent you from being subject to spyware and phishing. The Nighthawk allows you to set up the router with ease, perform a speed test and manage your Internet connection through a mobile device. The wireless router works well with Mac OS, Linux, UNIX and Windows 2000/XP/Vista/7/8/10 systems, and is compatible with select Alexa devices. The Medialink wireless router has a maximum speed of 1000 Mbps. The wireless router features eight Gigabit ports (four LAN and four Ethernet), a Broad com ARM Cortex-A7CPU and two high-powered beam-forming antennas. 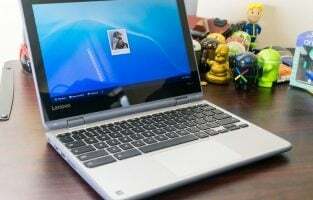 The device has a wireless security system and a robust firewall that allows you to prevent unwanted or unauthorised people from accessing your internet connection. You can put off the lights of the router when the gadget is in use without turning it off. The router also supports range extender and full control functionalities. The black gadget offers a lag-free experience for 4K streaming and Ultra-HD gaming. It is compatible with any Internet Service Provider and modem. The unit comes with user-friendly instructions for a simple and easy setup. The wireless router works with any system that operates on Android, iOS, Windows and MAC and supports 802.11 ac Wi-Fi wireless connectivity. The Linksys wireless router offers a maximum combined speed of 2.2 Gbps for one 2.4 GHz band and two 5 GHz bands, as well as the best coverage and performance for both the bands. The router supports three types of wireless encryption – WPA2 Personal, WPA2 Enterprise and 64/128-bit WEP. The black device is equipped with a 716 MHz quad-core CPU, three bands, six high-power amplifiers and four adjustable external antennas. It also includes four gigabit Ethernet ports, an ultra-fast USB 3.0 port and three offload processors. The easy to setup DFS certified router supports Smart Connect, advanced beam-forming, MU-MIMO + airtime fairness, seamless roaming, LAN link aggregation and auto firmware update functionalities. The Linksys app helps you to have control over your home Wi-Fi from anywhere and anytime you wish by giving you real-time information about your connection, allowing you to set parental controls, sending guests the Wi-Fi password and prioritizing the connected devices. The router is compatible with Amazon Alexa. The Linksys wireless router is the best bet for people who want no interruption at all to their internet connection when they engage in their favourite online activity such as playing games and streaming 4K content. The Wise Tiger wireless router renders a combined speed of 1200 Mbps with 300 Mbps speed at 2.4 GHz and 866 Mbps speed at 5 GHz. The long-range Wi-Fi router has three guest Wi-Fi access points without any passwords, two bands, five Ethernet ports and four external adjustable antennas. The secure white device offers multiple wireless devices such as WEP security, firewall, WPA security and WPA2 security. The wide compatibility allows HD streaming for next-generation Wi-Fi devices. The gadget is also backward compatible with 802.11 a/b/g/n devices. The router has a WISP mode that allows you to use it as a Wi-Fi router. It supports IEEE 802.11a, IEEE 802.11n and IEEE 802.11 ac wireless standards. The gadget functions with devices that operate on Mac, Mac OS X, or Windows 2000/Vista/XP and 7 operating systems. It comes with an AC power adapter, an Ethernet cable, a quick start guide and a two-year warranty period. The wireless router can be set up very easily following the instructions in the user manual. 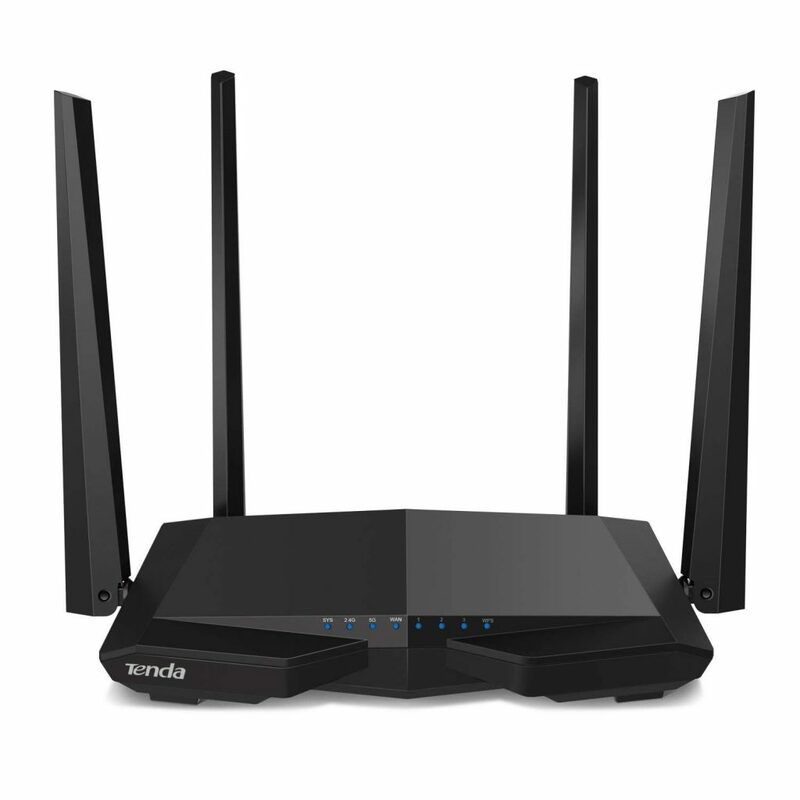 The Tenda wireless router offers a cumulative speed of 1167 Mbps with 867 Mbps speed at 5 GHz and 300 Mbps speed at 2.4 GHz. 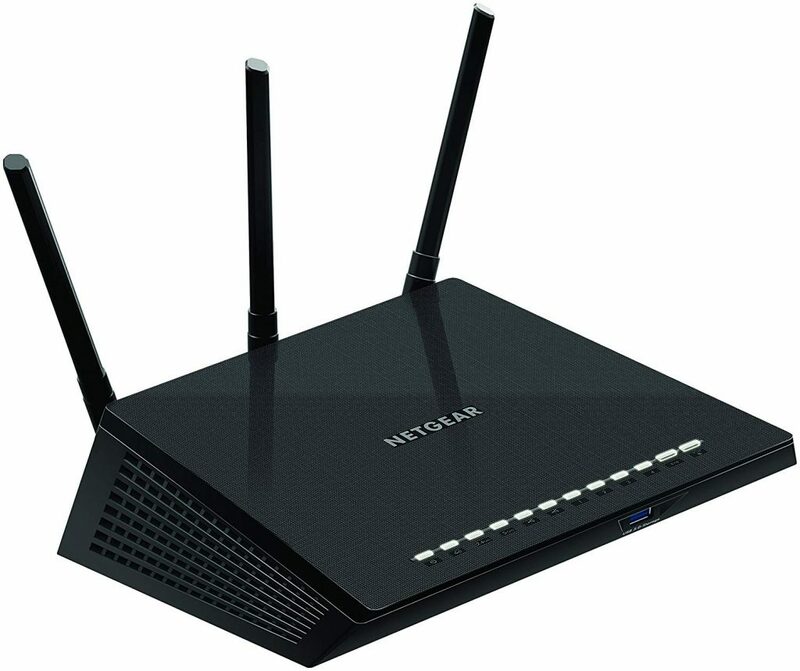 The black router supports Wi-Fi 802.11 ac standards. The device comes with four 5 dBi external antennas, high-powered inbuilt signal amplifiers, three primary LED indicators and a Broadcom 900 MHz processor to ensure coverage for the whole house. It comprises a fast WAN port and three fast LAN ports. The concurrent dual-band router also incorporates beam-forming and MU-MIMO technologies, as well as Wi-Fi schedule, parental control, blacklist, guest network, and security check functionalities. The Wi-Fi schedule function helps in automatically turning the router on and off. The security check function helps in detecting your network environment and diagnosing and troubleshooting security issues to keep the network safe. The blacklist function assists in disconnecting unknown devices from your network and adding them to the blacklist log so that they cannot access your network. The Tenda app helps in easy network management. The clear-cut antennas along with the design of the wireless router give it an artistic look. The router comes along with a power adapter, an Ethernet cable and an installation guide. 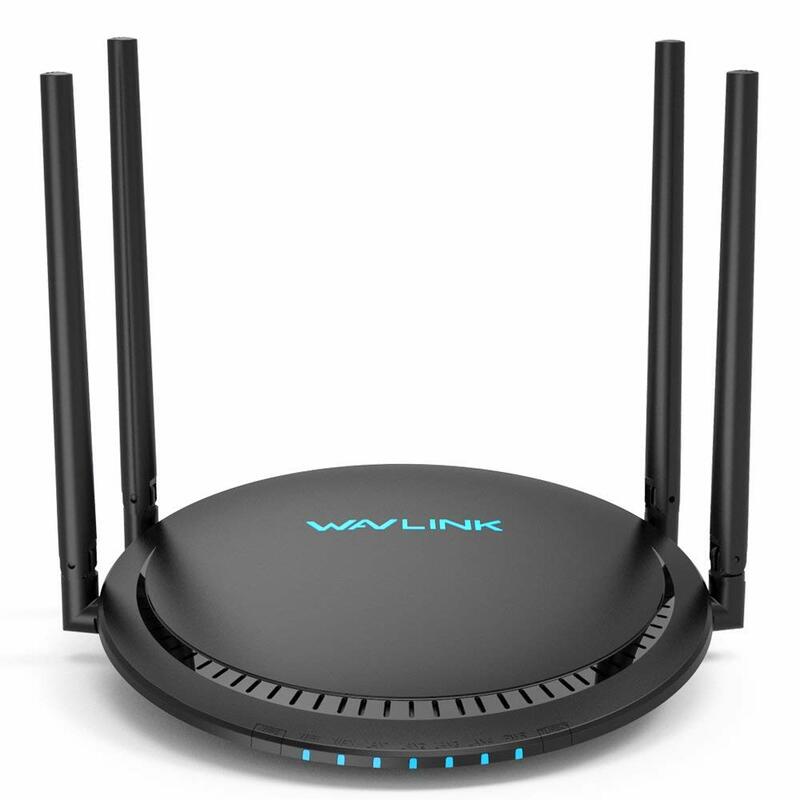 The WAVLINK wireless router supports a total speed of 1200 Mbps with 867 Mbps speed at 5 GHz and 300 Mbps at 2.4 GHz. The router incorporates Touchlink, Turbo and beam-forming technologies. The Touchlink technology allows you to access the internet by just touching the router and without having to know the password. The Turbo technology helps you to optimize your network for better Wi-Fi performance with just the touch of a button. The beam-forming technology eliminates interference to deliver maximum wireless speed, enhanced coverage and reliable connections. 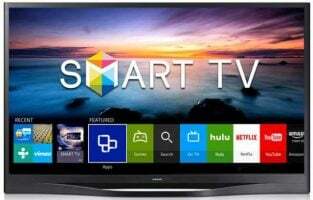 The device also offers unlimited streaming for all its assigned devices and automatically assigns them to the best channel available to avoid interruption during streaming of online games and 4K content. The Smart App helps you get real-time information about your home Wi-Fi connection through remote access. 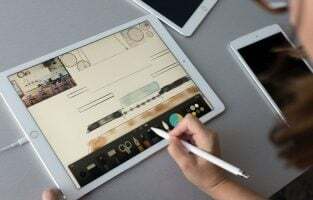 The app allows you to keep a check on which devices are connected to the network at a specific point of time so that you can prioritize and assign bandwidth for the devices that need Wi-Fi the most. It lets you ‘pause’ the Internet connection for a while, give guests access for a maximum of 50 people, while ensuring the safety of your network files and keeping a tab on the internet download and upload speeds. The black wireless router comes with an RJ-45 networking cable, a DC 5 V adapter, a WAN port, four LAN ports, a USB 3.0 port, four external 5 dBi high-gain omnidirectional antennas and a quick installation guide. 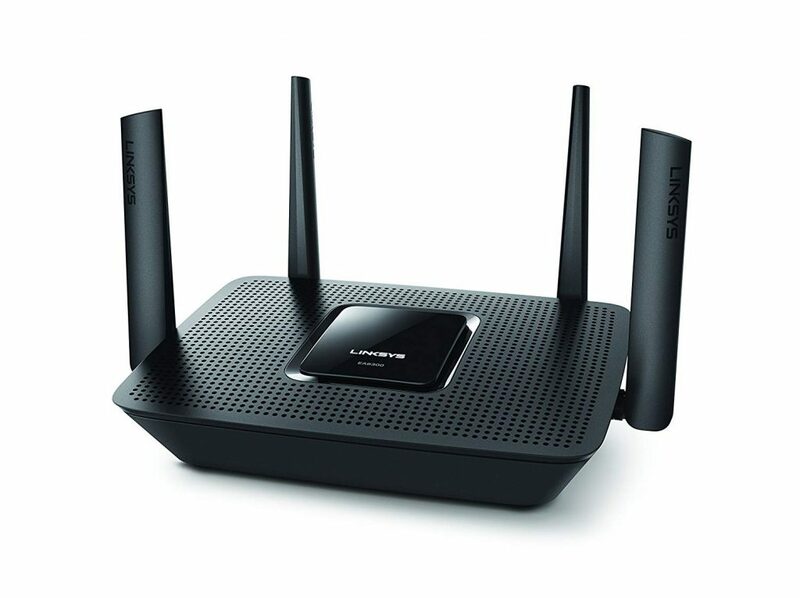 The Symantec wireless router offers superior Wi-Fi connectivity with its MU-MIMO technology and 4×4 antennas. 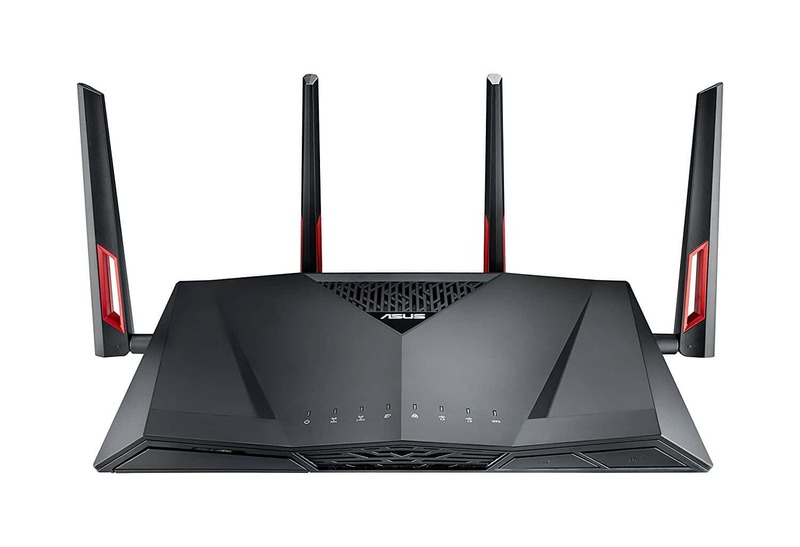 The router allows you to play online games, download files and stream 4K content at a fast rate at the same time. The dual-band device supports 802.11 a/b/g/n/ac Wi-Fi and simultaneous transmission at 5 GHz and 2.4 GHz so that your devices are connected to the best band available. It provides parental controls for you to manage your kids’ online activities by limiting the internet access time, block sites and even setting age-appropriate filters. The unit also allows you to create guest networks with different passwords and even set time limits for them. Once the time is over, the guest network gets deactivated automatically. The router comes with a 1.7 GHz dual-core processor, 1 GB RAM, 4 GB flash memory, two USB 3.0 ports and four Gigabit Ethernet ports comprising a WAN port and three LAN ports. The gadget renders multi-layer security with the Norton Core Security Plus software pre-installed to safeguard your Wi-Fi network against unwarranted threats with its auto-update feature and keep it up-to-date with new enhancements. 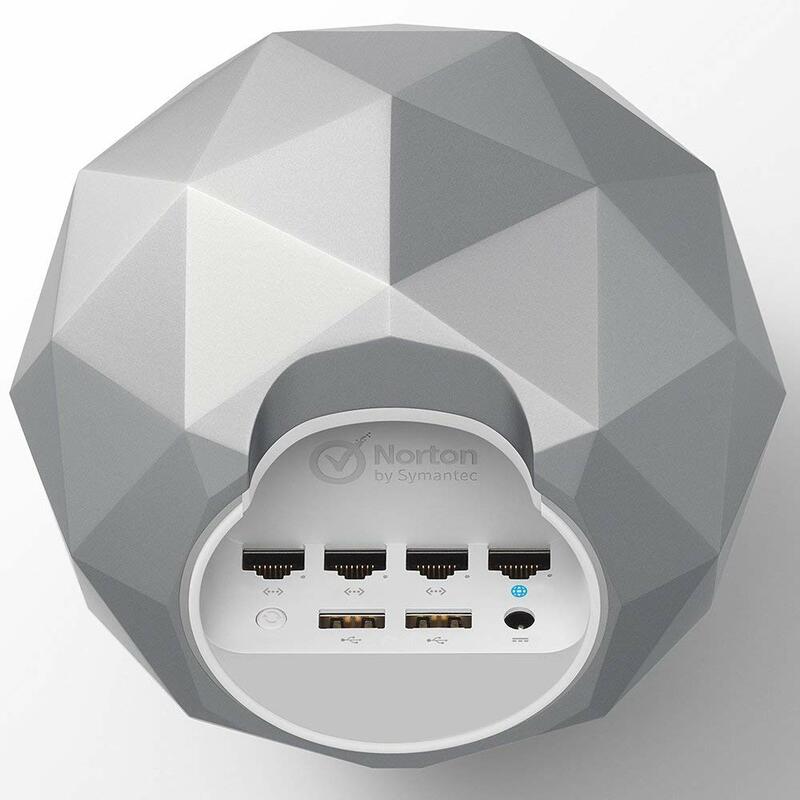 The Norton Core app allows you to set up the router by following the simple instructions using your smartphone. The wireless router is compatible with Amazon Alexa. It is available in two color options of granite gray and titanium gold. 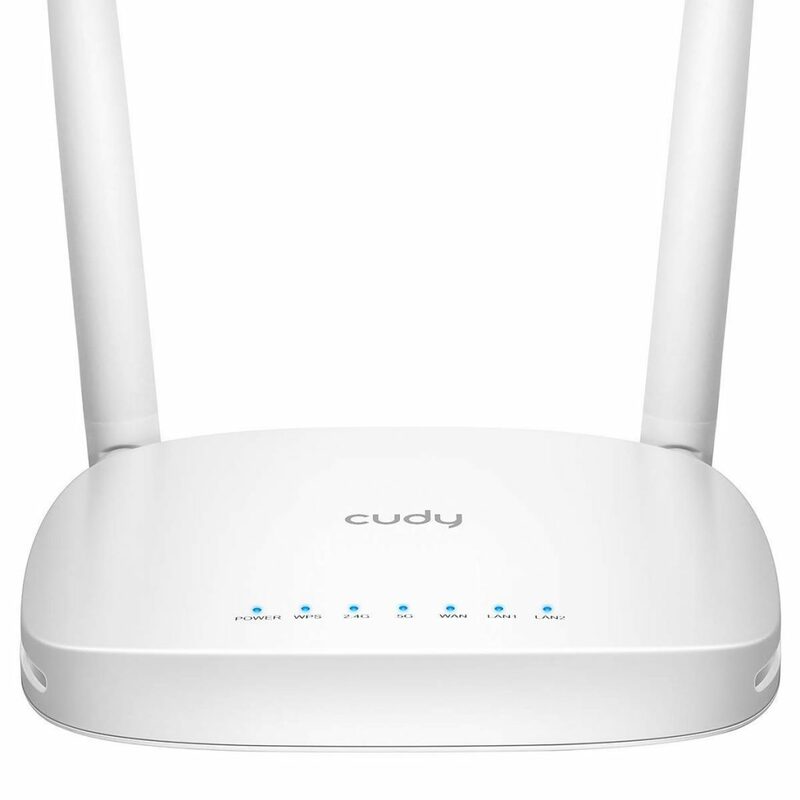 The Cudy wireless router offers speeds up to 1.2 Gbps and supports both 2.4 GHz and 5 GHz Wi-Fi bands at the same time. 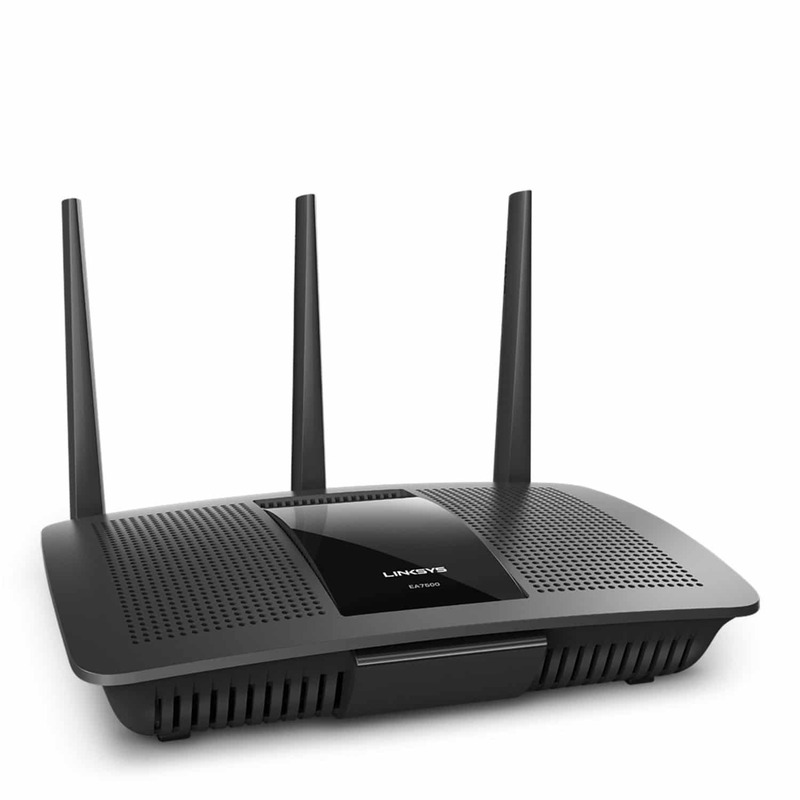 The router renders long range and high-speed Wi-Fi with its high gain antennas. The device features a concurrent dual band that allows you to do simple tasks such as browsing and bandwidth intensive tasks like HD video streaming or online gaming simultaneously using the 2.4 GHz and 5 GHz bands separately. The inbuilt firewall ensures that you have high security across the network. The parental control functionality assists in limiting access time for kids and avoiding phishing. The router also supports setting up guest networks. The range extender functionality allows you to extend your Wi-Fi coverage so that you can use the internet across a bigger area. The white gadget encompasses two 5dBi high gain antennas, three 10/100 Mbps RJ-45 ports, a reset button, a WPS button and seven LED indicators. The WPS buttons enable wireless security encryption with a single push. The wireless router comes along with an Ethernet cable, a power adapter, a quick installation guide and a warranty period of three years. One of the best wireless routers to mention in our list. 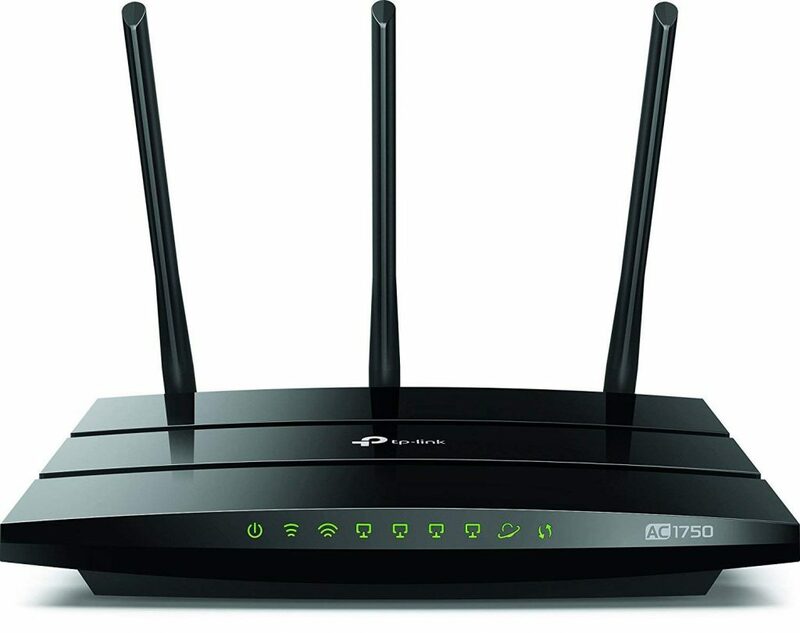 This wireless router is just perfect for you in case you live in a big house and have several members to use the Wi-fi connection together. 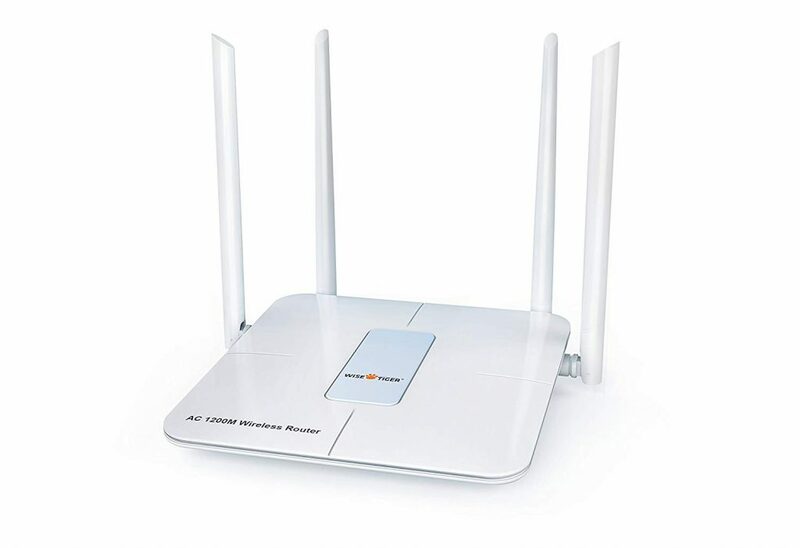 12 or more devices can be connected to the internet through this router and all kind of devices such as a smartphone, tablets, gaming consoles and TVs can be connected through this wi-fi router. This is featured with the high-end MU-MIMO technology which ensures all the devices can enjoy a very fast internet connection at the same time. The data transfer is also fast here as the USB 3.0 ports, 2.0 ports and the gigabit Ethernet ports are able to manage the data transfer an excellent way. Another great Wi-Fi router to include that is bit expensive no doubt but will let you enjoy the great connection. The speed is excellent and multiple people can be connected at the same time. Also, the speed is not affected at all by the number of people. You can easily roam around the house and enjoy the Wi-Fi connection. It is designed to cover up to 5000 sqft distance. 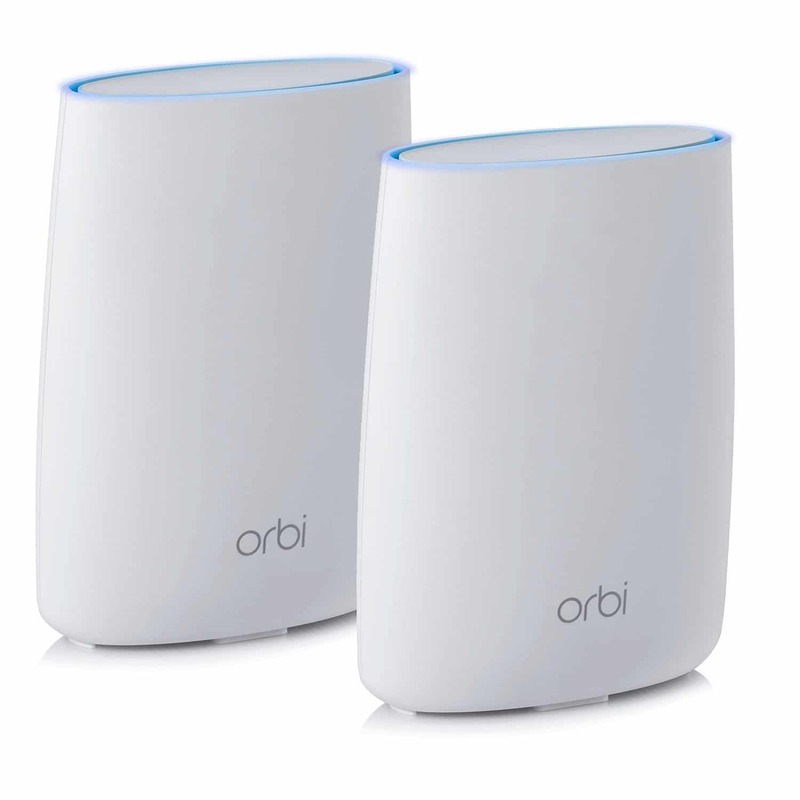 This Neatgear Orbi comes with two devices, a router and a satellite that is aimed at boosting the signal just like the mobile devices. The setup process is very simple and you’ll be all done in a minute. 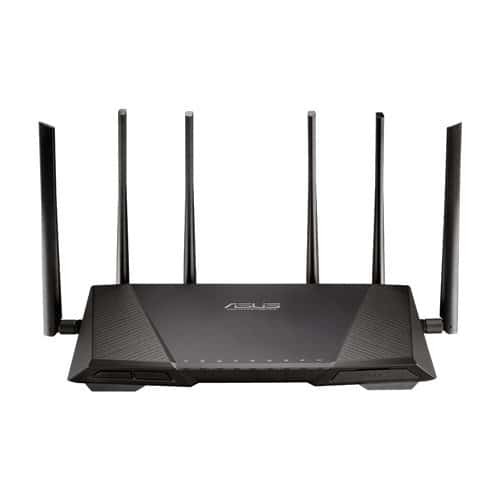 This is an excellent set from Asus that has come wrapped with all the exciting features to allow users to enjoy very stable Wi-Fi connectivity. This is the first home Wi-Fi router that comes with 8 Gigabit LAN ports along with additional support for the Dual-WAN and ports aggregations. Other features include added MU-MIMO, built-in VPN server, fun-based web interface, ability to protect the devices from malware and a great network monitoring features. All these features altogether help users to enjoy a very safe, easy and fast wi-fi connection. If you are aimed at enjoying a speedy internet connection, we will suggest you go for that. If you have a tight budget, then look for this excellent wireless router that is available under $150. Netgear’s this dual-band Wireless router comes with so many exciting features and those all together contribute to great wi-fi connectivity. The 450+1300 Mbps speeds along with high power antennas ensure you will be able to enjoy a great connection. Also, the dual band is aimed at reducing all the interference during the connectivity and allows you to experience a seamless connection over all the devices. The Advanced Qos, Beamforming+ technology are integrated for smooth gaming and the HD content streaming perfectly. This is a great product from Google which is added to the list of best Wireless routers due to its all the excited features. 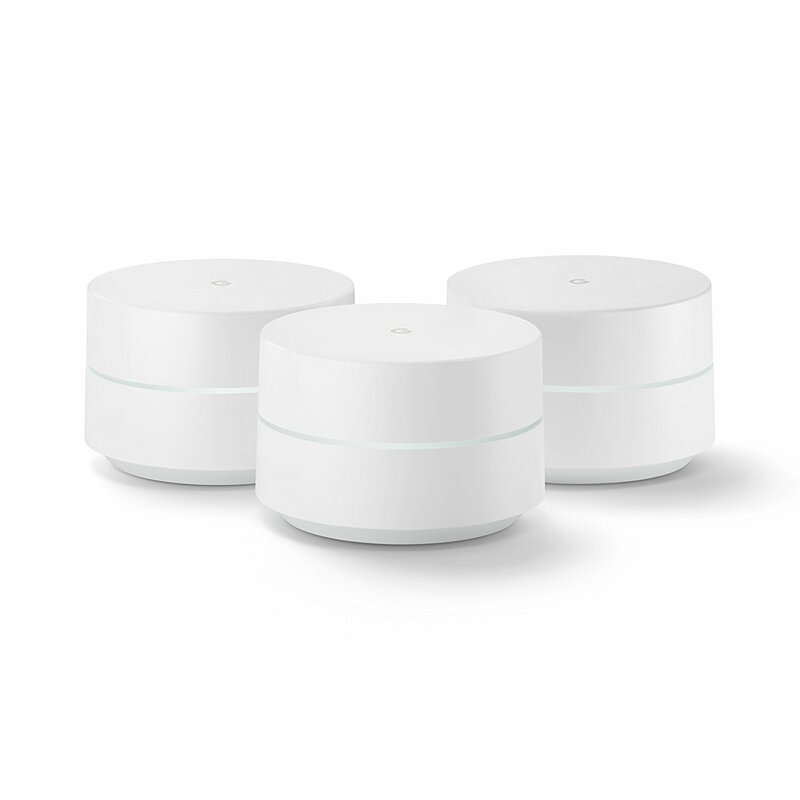 Google Wi-Fi comes with a set of three and while a single set covers 1500 sqft area, the added routers will cover 4500 sqft. And in case you intend to cover more area, just go ahead to add more. It comes with a network assist technology which ensures you will always be able to enjoy the fast and clear connectivity by selecting the clearest channel. The buffering and dead zone is eliminated here. The setup process is much simpler, just follow the instruction and you will be good to go. If you are looking for one of the best and fastest home network this can be considered as a great option. It is packed with many exciting features so that users can get the best out of this device. It covers a long area while the fast and seedy network will allow downloading everything hassle free. More than one broadband connection can be hosted through this router and the interesting fact is when this router is coupled with an external hard drive, it act as a great network storage server. It also packs many more advanced features which altogether allow you creating a very speedy and customizable home network. 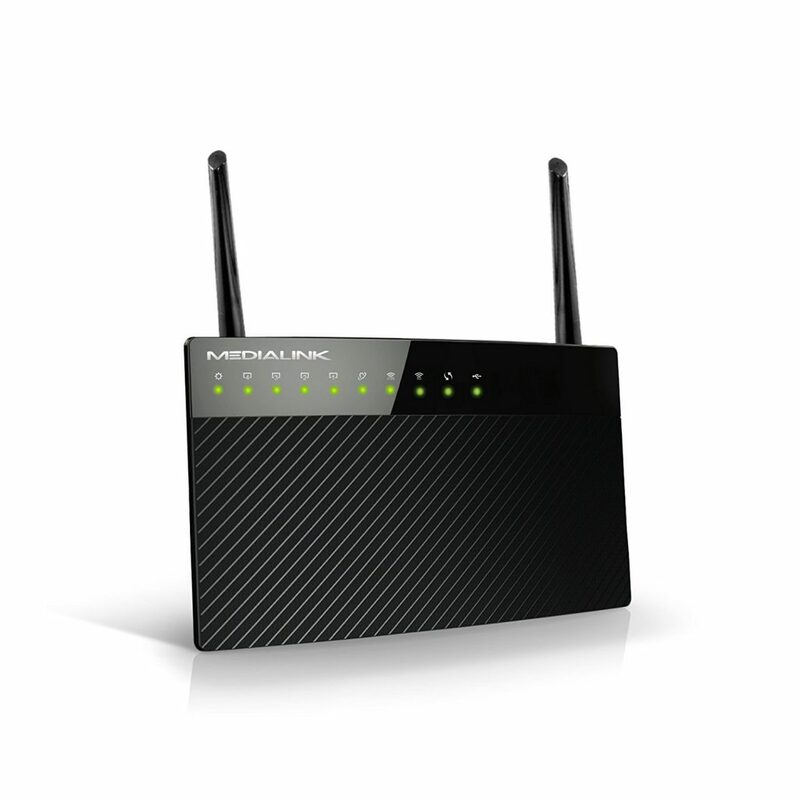 One of the most powerful and feature-rich wireless routers currently available in the market. This router is featured with high-end stuff such as easy and simple web interface, built-in VPN server, powerful network monitoring features etc. It allows you to connect multiple devices at a time and the speed of the internet connection will not be affected at all. 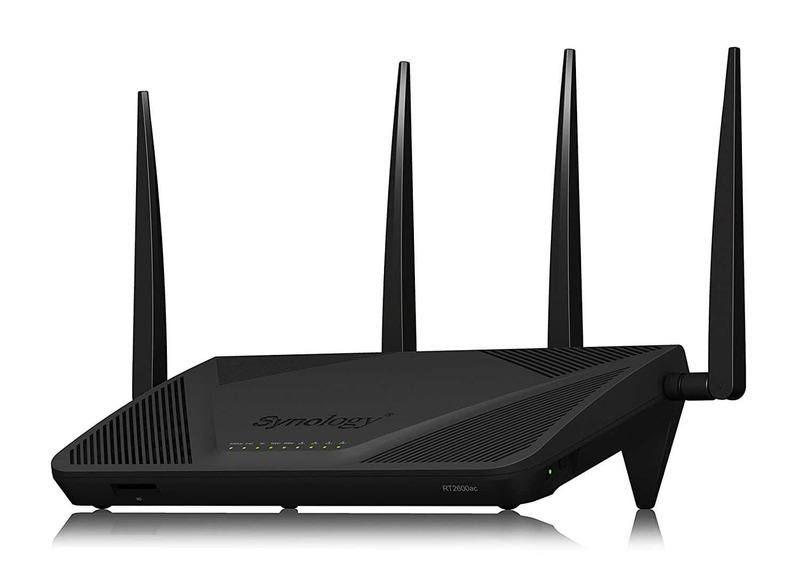 This powerful wireless router is designed to keep the malware at bay. So, not to worry anymore while browsing as your device will remain safe. Are you looking for one of the very basic wireless routers under $50? If so, then this TP-Link AC1200 is a great option to look for. This is the cheapest wireless router to mention in our list which comes to offer all the needed features but in bit slow format. If your job primarily involves checking emails, browsing the internet or checking the Twitter or Facebook account, it will serve all those purposes greatly. This is a great choice for all those who need to have a wireless router connected to complete their office tasks rather than enjoying the high-end movies and games. You must consider a few important factors when you have decided to invest in a wireless router. Firstly, analyze the area that you want the network to cover. Next, determine what tasks you would perform with an internet connection. This will help you to choose the speed of your router. Yet, another important factor to be taken into account is the number of devices that will use the Wi-Fi network. Last but not least, you must check to see if the router supports the functions that you want. For example, if you want to monitor your child’s online activities, you might want to consider a device that supports this functionality. Similarly, if you want to control your router with voice commands, it is advisable to buy an Alexa compatible wireless router.